Need to make a CMS page or static block visible to certain customer groups only? Want an ad or a limited time promotion to be shown for a selected customer group? 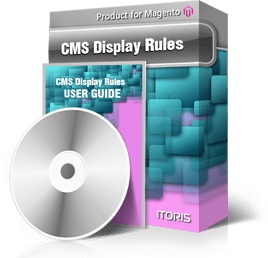 This is easy to achieve with CMS Display Rules module. You can make CMS pages visible to a selected customer group or several groups only. In addition, you can limit the visibility period (set from-to dates). Other customers will be redirected to another page you can choose in settings.